Mineral L-Calcium is extracted from fermented natural beets and its absorption level is faster than any other type of calcium supplement. Essential minerals have been extracted from natural minerals in the Great Salt Lake in Utah. After removing 99% of its salinity, 84 different essential mineral concentrates were filtered and added to Mineral L-Calcium. 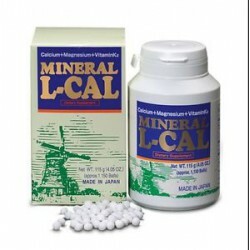 Magnesium extracted from the mineral source is water soluble and easily ionized for better absorption. Vitamin D3 is added to supplement your bone health. absorbed without affecting the color or taste of food.